To learn and assist in the running of the adventure activities and mini-expeditions at Aqua Outback. To interact with other guests and educate on them on skills needed for these activities and share knowledge on the biosphere reserve. To function as an additional host at Aqua Outback. 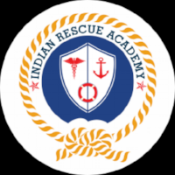 Must know basic safety and rescue skills, sea friendly and great interpersonal skills. To assist in running of administrating conservation efforts towards the reserve and educating locals on conservation. To observe and provide statistical information and research data on the region to aid in ecological and environmental studies. Prior experience with NGO's, diving / snorkelling, marine biology or renewable energy studies would be appreciated. To assist in managing overall food, hospitality and day-to-day operations at Aqua Outback. To have outstanding communication skills to work with staff, locals and guests. Prior experience in hospitality and teaching is a plus. Improve or contribute your culinary skills with the best sourced organic and fresh food with our master chef. Local awareness programs and community outreach. All volunteers would have go through an orientation and interview before confirming your request. The duration has to be of a minimum of 2 weeks to a maximum of 3 months. Food and accommodation would be provided as well as the 'Aqua' experience! Aqua Outback is run by a small team and functions more like a close community. Any help from volunteers in running Aqua Outback and promoting conservation would be much appreciated. Excited ? Come volunteer with us!